Splinting is a common strategy for managing joint instability in hypermobility syndromes. There is a lot of mis-information associated with splinting and it’s not uncommon to get splints with little or no information about correct use. This info is designed to be a general guide, not to replace any specific information given by your own healthcare providers. This page will (when finished) be a collection of my thoughts on splinting. Best practice, based on my degree in Occupational Therapy and a lifetime of splinting for my own Ehlers Danlos Syndrome. 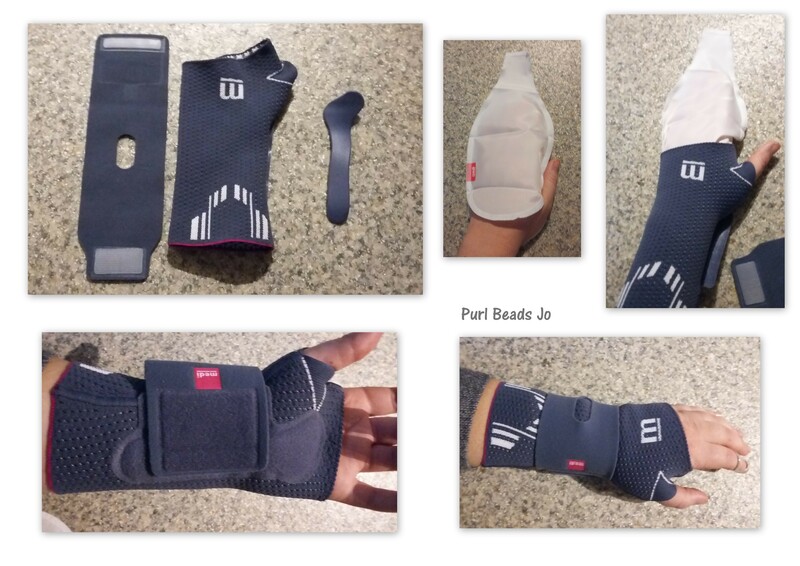 Click the links below to read posts on different splinting topics. More topics will be added as and when I write them, if you’d like to request a specific topic then please ask. I need to learn to tape myself (was taped on afo leg a few years back by a different physio and enjoyed tremendous relief and much less falling/toe drop/stumbling about from Neuro damage caused by compartment syndrome injury in that same leg about 15 years ago). Do you have a chart or booklet for purchase? Or, could you please recommend a reference or textbook on kinesiotaping? My husband will have to learn also and assist, as most of my current issues are shoulders, cervical/occipital, along with the knee hyperextension (17 degrees) and hips, hands, wrists, etc that I can tape on my own. Physiatrist also believes if braced, I would come to rely on bracing, even after insisting I need bracing to maintain stability as much as possible so as to be as mobile as possible, even when in my manual wheelchair. Taping may be my only relief unless I’m able to locate a new physiatrist. "Jo is so incredibly well suited to her role as a qualified OT. She is genuinely qualified not just by study and acreditation but also by personal experience. Through Jo's own experience she has learnt that living life despite disabilities or health challenges means thinking of solutions, whether that be adaptions or alternatives. When she teaches about the value of pacing, she also knows the reality of working pacing into a life and the challenges of achieving it and that means you can be honest and real with her resulting in better outcomes. Many of her blog posts have resulted in me making changes to the way I manage my health, for example I am now working to incorporate physiotherapy into my daily routine. Knowing Jo has done so herself helps me silence the voice that might otherwise say I can't do it and that "they" don't understand how tired I am after work. I'm yet to ask for an opinion or advice and not either be pointed to a useful resource or given helpful input. In my work as a coach for people with chronic health problems I will be actively referring/encouraging people to get in touch with Jo and get her insight and support."